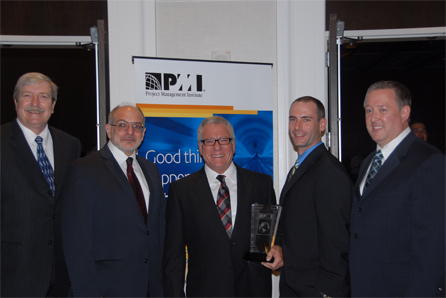 Total Systems Education is the proud recipient the "PMI Continuing Professional Education Provider of the Year" award! This prestigious award recognizes the outstanding results of a ground-breaking training project, conceived and orchestrated by our team. With over 30 years' worth of global training experience in Project Management and Business Analysis, we have evidence that our workshops teach real, useful, immediately applicable skills. At the start of the recent economic downturn, we quickly identified an audience of professionals who truly needed those skills for an unpleasant, yet top-priority project: finding new employment! 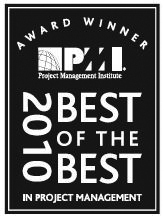 Total Systems and its team devised a way to bring our training to those professionals, focusing on helping them apply the newly learned skills to their job-hunting efforts, while giving them the possibility to strengthen their resumes by earning credentials from PMI and the IIBA and, professional certificates in Project Management and/or Business Analysis from a well respected university. Due to the needs and uniqueness of this audience, modules on "Interviewing and Job Searching" (including the use of social networking), Effective Presentations, Writing, Focus and Study Groups and a Jobs Roundtable were added. During this critical time, our partnership consisted of the State University of New York at Stony Brook (Stony Brook University), the Suffolk County New York Department of Labor and PMI Long Island Chapter. With this powerful team, we secured the venue and funding for this ambitious initiative. 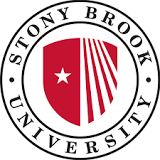 The "Displaced Worker Program at Stony Brook" was born, the first of its kind in the United States! Following our tremendous success in New York, Total Systems Education approached the Central Piedmont Community College and the North Carolina Department of Labor, to help launch a similar program in Charlotte. Our programs are still being offered in both venues, with impressive results. To date, more than 2500 people have successfully completed the Stony Brook and CPCC programs. Of them, more than 1300 have confirmed full time employment in project management and business analysis related positions, many have contract employment and more than 600 have earned their PMP and CAPM credentials! 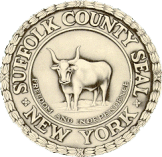 The Suffolk County, New York, Department of Labor is a key partner in our PMI award winning "Displaced Professional Worker Program". The vision and expertise of these outstanding individuals secured the funding that enabled more than 400 people to participate in our program! As early as the summer of 2008, the Suffolk County One-Stop Employment Center realized the re-employment value of professional credentials and university certificates in Project Management and/or Business Analysis. Total Systems Education, Suffolk County and the State University of New York at Stony Brook moved forward to create programs to help Long Island's out of work professionals. Due to the nature of Long Island's industrial and research organizations, both private and public, the area is well positioned to be a leader in Green Technology. With that knowledge, the team made certain that our Displaced Worker Program prepared participants to enter the "Green" world. 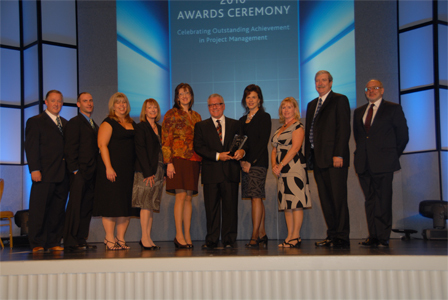 Suffolk County, New York was chosen by the National Association of Counties as winner of the 2010 Achievement Award, "Retraining for PMP Credential for Green Careers", in recognition of this innovative partnership and our Displaced Professional Project Management program. The State University of New York at Stony Brook is the proud winner of the "UCEA Mid-Atlantic 2010 Partnership Award"! UCEA, University Continuing Education Association, is the international professional association for institutions providing higher continuing education and lifelong learning. The universities and colleges in UCEA are both private and public. Their representatives are usually at the dean and director levels within continuing education, outreach, and/or distance learning. This award recognizes the power of joint forces and rewards SUNY Stony Brook for their vision in entering this innovative strategic partnership! Stony Brook is now in the running for the national UCEA Partnership award.